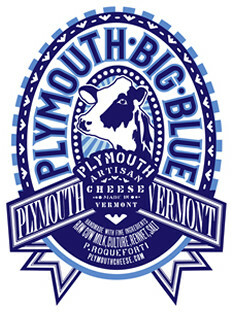 A mellow, creamy cheese, cold-smoked over hickory wood using traditional Vermont techniques for a rich, savory flavor. 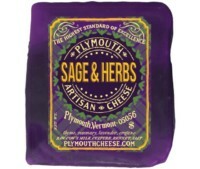 A savory classic enhanced with aromatic sage, thyme, rosemary, lavender and oregano. 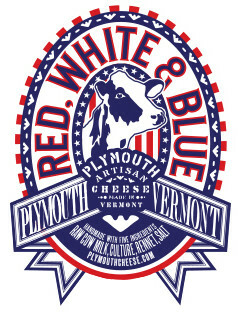 Our cheeses are crafted, cut and waxed by hand – the way they did it over 125 years ago on the Plymouth homestead. Granular curd cheese is very similar to cheddar, but it’s made in a technically different way. The art of achieving the rich, open-bodied texture of granular curd cheese is through the skillful cutting and continuous stirring of the curds. The secret to making great cheese is to get the best and highest quality raw milk supply possible. We use only the finest Vermont raw cow’s milk free of any additives, ant-biotics or rBST. Our milk is sourced from a single dairy herd in close proximity to the cheese factory so we can use the freshest milk possible, and we can ensure consistent quality. 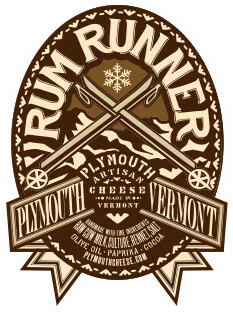 One of Plymouth’s signature cheeses, Rum Runner is washed with paprika, cocoa, olive oil, clove and rum. Red foil envelops this ivory cheese streaked with blue veins and punctuated with irregular holes and small eyes. Clean, fresh and original, this cheese has a smooth, creamy texture and mild peppery accents. Recognized by Food & Wine as one of the best artisanal cheeses in the nation, Big Blue showcases a thin stony rind surrounding a moist but dense cheese. With patches of small blue eyes, the texture is creamy, bold and rich with an herbaceous tang and a long finish. Its flavor develops steadily, becoming spicier as it ages. 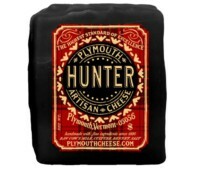 Hunter is a classic Vermont extra-aged cheese. 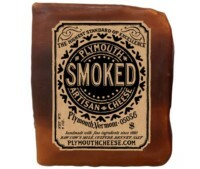 A robust, mature version of Original Plymouth distinguished by a bold sharpness with richly nuanced complexity. 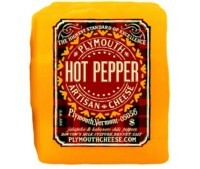 A hearty cheese enriched with zesty red, orange and green peppers for lively color and a spicy flavor. Aged 60 days. 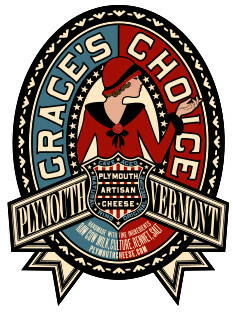 Using the same raw cow milk from Plymouth’s signature cheese, Grace’s Choice is lightly washed with a natural rind for a cheese that is creamy, smooth and buttery.